The Jammu and Kashmir Board of Professional Entrance Examinations (BOPEE) was established by an Act of the State Legislature. It is the responsibility of the Board to recommend selection of candidates for admission to various programmes at undergraduate and postgraduate levels in Government run and privately managed institutions in the State of Jammu and Kashmir. These programmes include Medical, Dental, Engineering and Teacher Education Programmes. 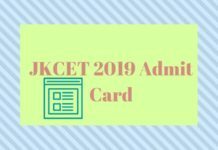 JKCET – Combined Entrance Test for admission B.E. and B.Tech. 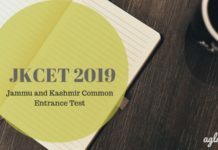 Those who have passed 10+2 exam with PCM and English are eligible to apply for JKCET. The entrance exam is being conducted to fill 2528 number of seats in BE and BTech courses. The importance of this test cannot be under estimated as the candidates appearing in the test have to compete for different Engineering Courses like Civil Engineering, Electrical Engineering, Mechanical Engineering, Computer Engineering, Computer Science and Engineering, Electronics and Communication Engineering, Information Technology, Electrical and Electronics Engineering and Bio-Medical Engineering, which would make them eligible to compete for employment after completion of the course. The candidates have, therefore, to take the examination seriously and pursue studies vigorously so that they compete well after completion of the Degrees. Admission to this course will be done on the basis of NEET PG in MD/MS/PG Diploma and MDS Courses respectively. Large number of candidates from Jammu and Kashmir also appeared in the examination. 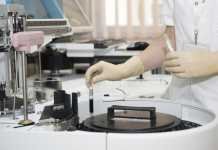 Ordinarily the students from Jammu and Kashmir compete well in medical entrance examinations but there is further scope for upgrading the skills/knowledge so t figure in the top rank. State of Jammu and Kashm towards 50% national quota seats, therefore, all the seats in the State run medical colleges including the private institute are to be filled up from amongst the to be drawn now by the Board of Professional Entrance Examinations. 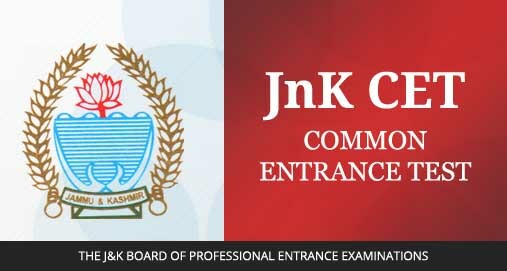 The J&K Board of Professional Entrance Examination (BOPEE) is responsible for admission in MDS course into the Govt. Dental College, Srinagar. Admission will be done on the basis of NEET MDS. The Test meant to select students for MD/MS Ayurveda takes hard toil from the aspirants together with their parents of which BOPEE officials are quite conscious. The merit secured by the canddiates by burning midnight oil can in no case be tinkered with and will be respected. This course is for those candidates who wants admission teaching course. The greatest resource and strength in Indian schools is our teachers. They have the greatest impact on student learning, far outweighing the impact of any other education programme or policy. They stand in the interface of the transmission of knowledge, skills and values. Teacher quality is, therefore, crucial and has been globally accepted to be significantly associated with the quality of education in general and students’ learning outcomes in particular. The 21st century is an era of technology and there is a great demand of technically trained youth in the state and country. Polytechnic education plays a vital role in human resource development of a country by creating skilled manpower, enhancing industrial productivity and improving the quality of life. Technical Education covers courses and programs in Engineering, Architecture, Leather and Wood Technology, Computer and Information Technology, Secretarial Management, etc. I offer my good wishes to the candidates for choosing technical education (3 – year Diploma Polytechnic course) as career in their life. Q 1. When will be the B.Ed (K) examination held? Ans. The Notification has been issued already and last date for submission of forms is February 15,2019. The examinations shall be conducted on March 23, 2019. Q 2. How many candidates have Applied for NEET PG Examination? Ans. The Board has no such information available as yet. Please be in touch with BOPEEE website. Q 3. What is role of BOPEE in NEET PG? Ans. Except conduct of Examination and declaration of the result by the NBE, The other process including preparation of State Merit List, verification of documents, counselling for admission to courses shall be conducted by the BOPEE. Q 4. What have we to do after NEET PG result? Ans. After conduct of the NEET PG MDS/MD/MS/PGDiploma/, 2019 by the National Board of Examinations, the results of the candidates have been declared by the Board (NBE). The cut off score will be prepared on the basis of these results. After receipt of the result by the BOPEE further process shall be initiated by it for filling up of the seats through a process of counselling. Only such candidates, who figure in the list of candidates notified by the J&K State Sports Council in their Notification issued shall only be eligible for consideration. Mere submission of the Sports Category Certificates shall not make the candidates eligible for consideration under the category unless they figure in the list provided by the Sports Council. Q 5. Whether Rural Service quota for in-service candidates is available this year? Q 6. Are candidates entitled to 30% marks for serving in remote and difficult areas? Ans. Yes, weight-age upto 30% of the marks obtained in NEET PG examination will be given to such candidates who have served in remote and difficult area as per SRO 48 of 2018 dated 30.01.2018. Only such candidates shall be entitled to the incentive marks who are otherwise eligible as per MCI Regulations. Q 7. When will the registration start? Ans. Only after the NEET PG result is received from National Board of Examination. Same shall be notified. Q 8. Who has to submit documents before online registration in BOPEE office? Ans. Only such candidates who are temporarily residing outside the State but are the State Subjects of J&K and have appeared from a centre other than J&K shall be required to submit the documents before online registration. However, the candidates belonging to the State of J&K and shown their permanent residence as J&K will not be required to submit document and affidavit in person in BOPEE office.